The kids are in for a treat when their parents leave them with a babysitter who is truly out of this world--an alien! When their parents go out for the evening, a brother and sister are left with a babysitter unlike any they've ever had before--an alien from another planet! But even though she seems a little strange, the kids quickly see that this babysitter can make anything fun...even brushing their teeth and doing their homework. This story is literally E.T. meets Mary Poppins, and as soon as the Babysitter from Another Planet is gone, the kids can't wait for her to come back again. 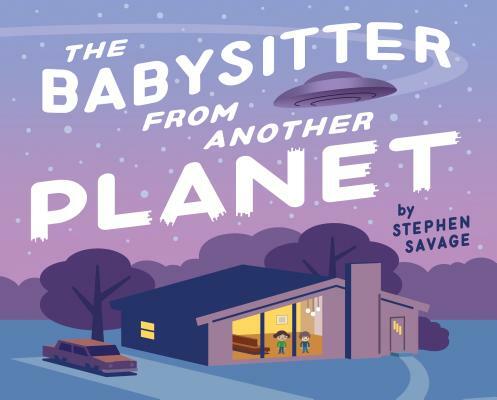 With references to everything from '50s Science Fiction movies (sure to produce a chuckle from knowing parents) to ET, bestselling author Stephen Savage has produced a visual and verbal tour de force that will have kids begging for more. Stephen Savage is an award-winning children's book author and illustrator whose accolades include a New York Times Best Illustrated Book (Polar Bear Night) and a Geisel Honor (Supertruck). His picture book Polar Bear Night was a New York Times bestseller. He teaches at the School of Visual Arts and lives in Brooklyn, New York.